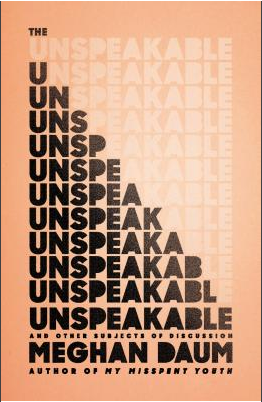 Shari is reading The Unspeakable, a collection of essays by the fabulous Meghan Daum. Rebecca is reading Issue 7 of Ernest Journal. I came for the lovely essay, "On Solitude," by my dear friend, Ruth Allen, and then stayed because of all the rest of the wonderfulness packed inside, including Antarctic exploration, wild swimming, cartography, lost railway stations, and lost pies. Just add sperm whales and lost languages and it could be my perfect journal.